My friend Seana got a booklet called "Room Service: How to Re-do and Re-new Your Home Using Fabrics with Celanese Contemporary Fibers" (wooooo, that's a mouthful) from our pal Jessica. 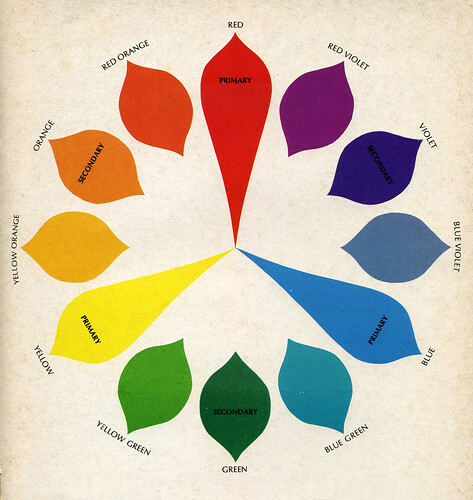 I love this color wheel image. That is all.